The Paralympic Games are held every four years for athletes who suffer from various disabilities. The Games generally follow the Summer Olympics, and will be held in Rio de Janeiro from 7-18 September. The Paralympic Games will see athletes vying for 526 medals in 22 different disciplines. Games such as canoe-kayak and triathlon will make their debut at the 2016 edition. The Paralympic Games are an attempt to provide an equal platform for athletes with disabilities to showcase their skills at a stage that lets them represent their countries. In order to differentiate between what kinds of disabilities are legitimate, there are 10 categories, such as impaired muscle power, impaired passive range of movement, limb deficiency, leg length difference, short stature, hypertonia, ataxia, athetosis, vision impairment and intellectual impairment. Are they similar to the Summer Olympics? Not all games at the Paralympics will be the same as the Olympics. For eg, boccia is one of the rare sports not to have a Summer Olympic equivalent. Comparable to British bowls or French petanque, boccia is played in a wheelchair on a 12.5 x 6m surface. A game of strategy and accuracy, originally designed for people with cerebral palsy, it is now open to all athletes with motor skills impairments. Players must throw or roll six coloured balls to get as close as possible to a white target ball, known as the 'jack'. The player, pair or team with the most balls near the jack is the winner. There are seven medal events, all mixed gender, with four different classes. Brazil's Dirceu Pinto is out to add to his four Paralympic medal haul. A very popular Paralympic sport is athletics. One of the original eight sports to figure in the inaugural 1960 Paralympic Games in Rome, and the most popular, with 1,100 athletes competing in 177 track, field and road events in Rio - the only disciplines that will not be covered are the pole vault, hammer and hurdles. 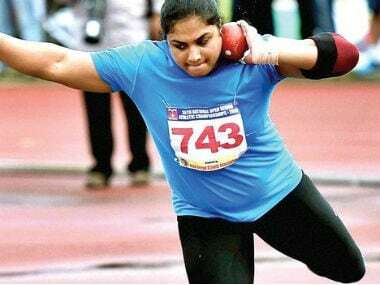 Visually, intellectually and physically impaired athletes can compete. Athletes compete either standing or using a wheelchair, with or without prosthesis. Visually impaired Jason Smith, Ireland's answer to Usain Bolt, aims to repeat his 100m and 200m success at Beijing and London, while Felipe Gomes, from a notorious Rio favela, will have home support behind him. 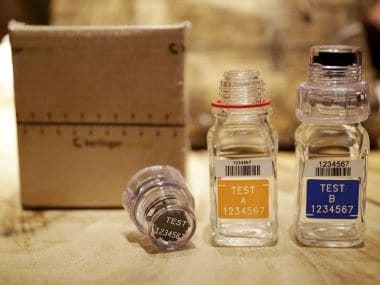 Speaking of favorites, the 2016 Paralympic Games will see athletes from China and the United Kingdom take to the stage and fight for dominance, but a major game-changer will be the absence of any Russian athletes. 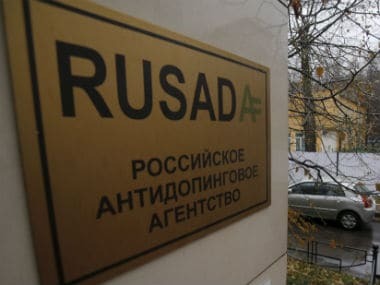 Due to a blanket ban on any Russian athlete owing to the massive state-sponsored doping claims unearthed over the past few months, it will be a clear field for athletes of different nations. The Summer Olympics earlier this year had golf as a new entry into the Games fold; canoe kayaking is one of two disciplines making its debut at the Paralympic Games. Para-canoe events will be competed in line over 200 metres in specially adapted kayaks. Three categories of athletes - those with no use of their legs, some use of their legs and body, and partial use of their legs - will vie in six medal events at the Lagoa Stadium on the Rodrigo de Freitas lagoon, next to Copacabana Beach. The other sport to make its debut at the Paralympics will be the para-triathlon. It starts with a 750m swim, followed by a 20km bike ride and culminates with a 5km run. Men and women compete in the same race, although the athletes are divided into three categories. Star athlete Lauren Steadman of the UK had won the 2015 Rio para-triathlon. India will send its largest ever contingent - of 18 athletes - to the 2016 edition of the Paralympics. Devendra Jhajharia, India's first Paralympic gold medallist (Athens 2004) will be in the running for yet another crack at the javelin throw event in the F46 category. India will also be represented by Ankur Dhama in the 1500m athletics event. According to the Quint, Ankur is India's first blind participant at the Paralympics. "Right now, I am running four hours a day to cover almost 30 kms each day as a part of my endurance training for Rio. I am also consuming a lot of fruits and proteins as instructed by my coach. This time, I have given it my all and feel that I have never been fitter before," said Ankur to the Quint. 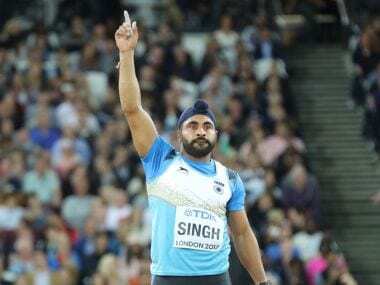 Another major medal hope for India will be Amit Kumar Saroha, a gold medal winning athlete in the club throw event at the French Open Championships 2016, and will spearhead the country's quest for some Paralympic glory. 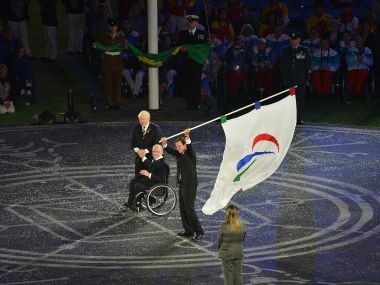 For all the schedules of the 22 events taking place at the Paralympics, click here.